There are four different tiers of champions in Marvel Contest of Champions, starting with 1* champions. and going up to the rarest 4* champions. 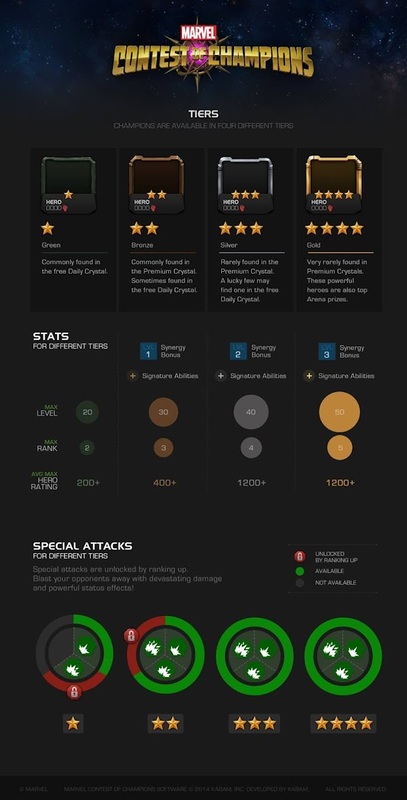 The following graphic shows all four tiers of champions along with their average stats and the availability of special attacks.